If you’re tired of haggling and bargaining in the heat for your souvenirs, try Geneva Handicraft Centre. The prices are fixed and reasonable (although a little higher than you might be able to wangle with a street vendor) and the choice is seemingly endless. Spread out over four floors, ranging from anything between small knick knacks and trinkets to intricately carved furniture and statues, the store is a gold mine if you’re looking for gifts and personal souvenirs, or even some decorations for your home. An unimaginable selection of items are on sale, from salt and pepper grinders to sandals, photo albums to CDs, even cutlery and stationary; you might think you’ll need to buy an extra few suitcases to transport your purchases back home, but Geneva offers sea and air freight shipments, so you can shop to your heart’s content. 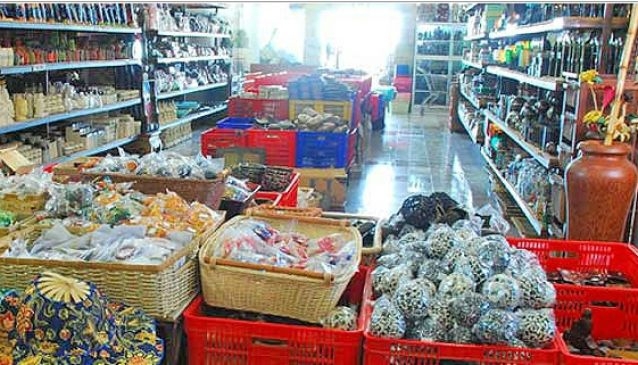 Most products are Indonesian in origin, and use natural materials such as wood, bamboo, coconut, palm, root and stone.